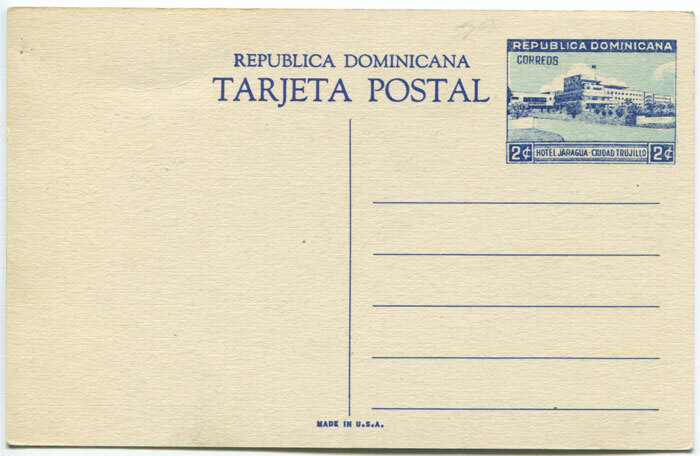 Postage stamps, booklets, flight, censored and maritime mail and philatelic covers of the Dominican Republic for sale. 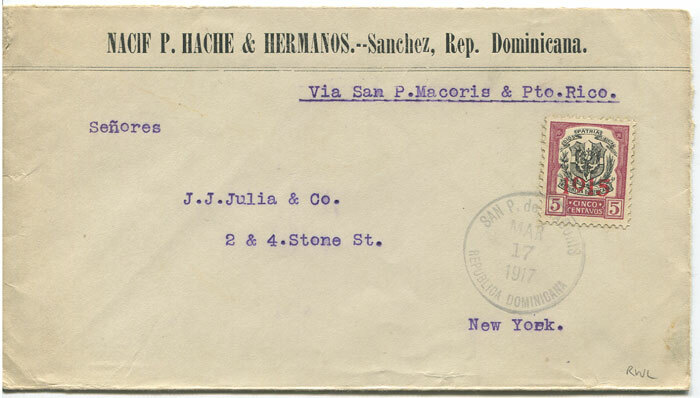 (Hoskings 2457) on cover from Dominican Republic to France with 5c tied by Ponce duplexand with French censor label and h/s. Fine. 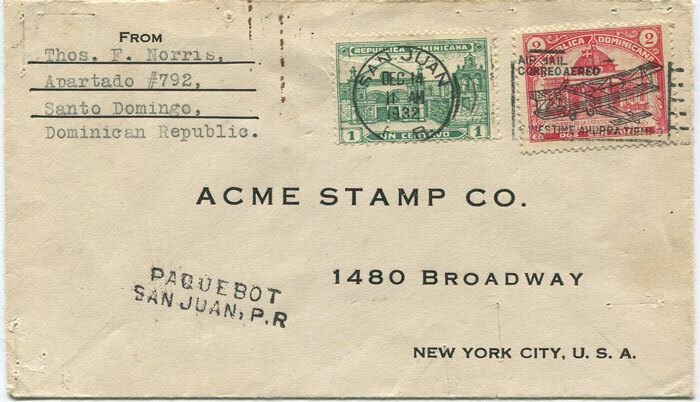 with 5c tied by fine 'SAN P. de MACORIS' large cds. Fine. 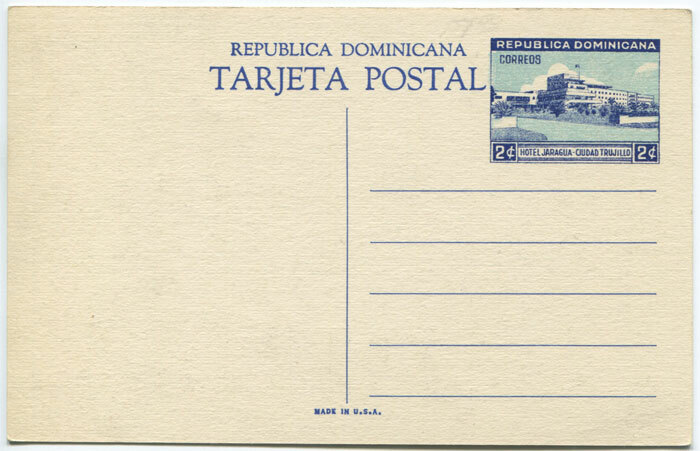 (Hoskings 2488) on cover from Dominican Republic to U.S.A. Fine. 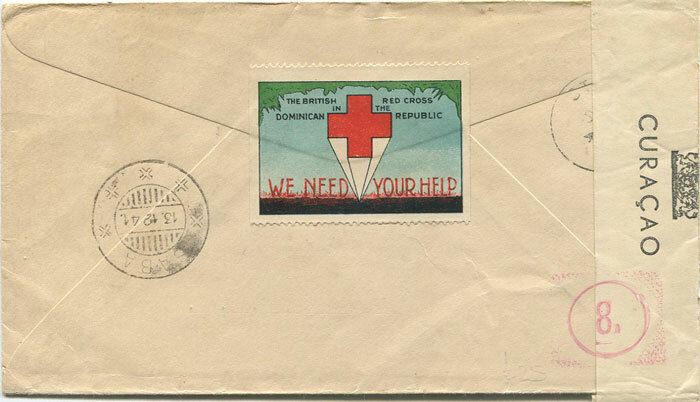 with 'British Red Cross in the Dominican Republic Red Cross We Need Your Help' label on reverse and Curacao censor label and h/s's. 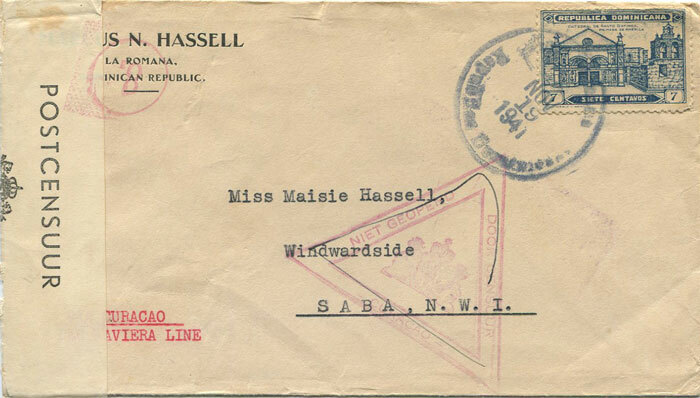 St Kitts and Saba cds b/stamps. Fine. 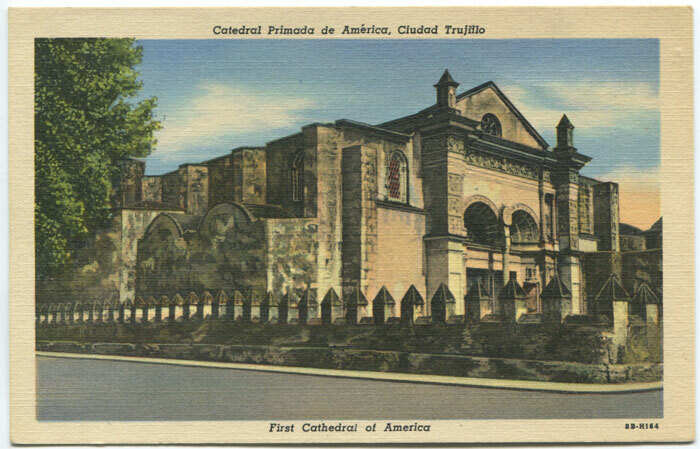 (H/G19), with view of First Cathedral of America on reverse. Fine unused. 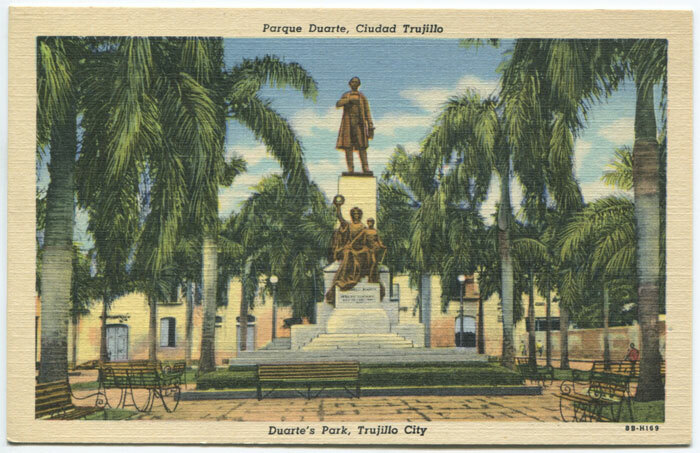 (H/G19), with view of Duarte's Park on reverse. Fine unused. BELLIN Jacques Nicolas Carte reduite de L'Isle de Saint Domingue et de ses debouquements. Pour servir aux vaisseaux du Roy. 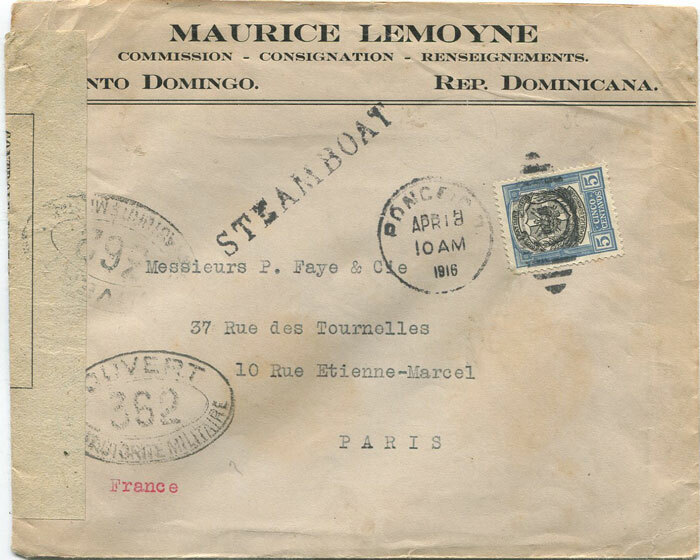 Dresse au Depost des Cartes Plans et Jounraux de la Marine. Par Ordre de M. Rouille Chr Compte de Jouy &ca Secretaire d'Etat ayant le Department de la Marine. 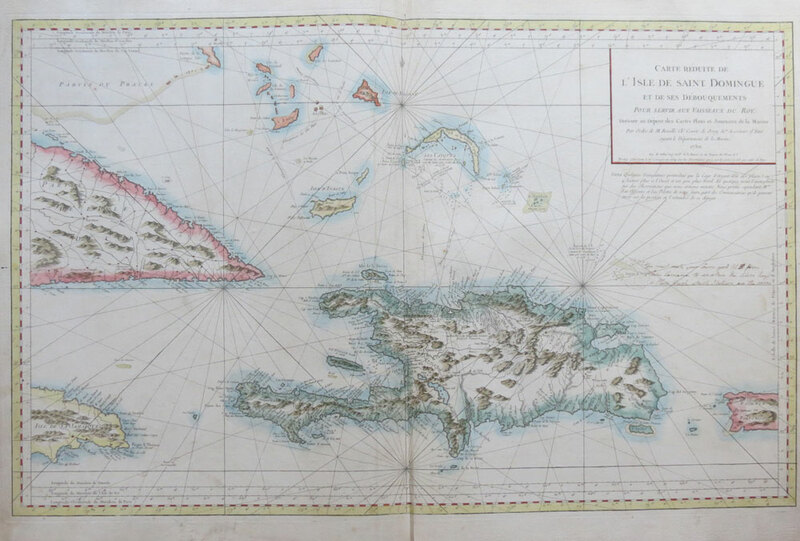 Paris: L'Hydrographie Francoise 1754 Hand coloured engraved chart with wide margins in fine condition. 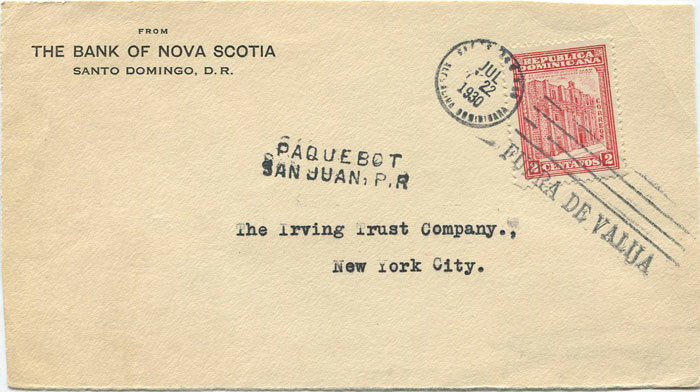 Contemporary manuscript note in ink at right warning sailors to avoid Cape Samana. 35 x 22" Large scale chart showing Hispaniola, Turks & Caicos Islands, Lower Bahamas, the eastern ends of Cuba and Jamaica and the western end of Puerto Rico. This is the corrected edition of 1754. 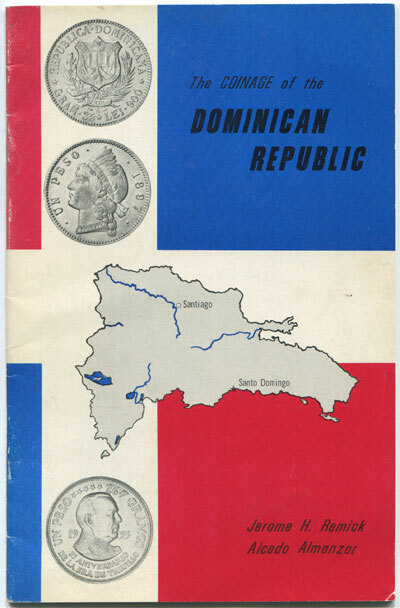 REMICK Jerome H. and ALMANZAR Alcedo The Coinage of the Dominican Republic. Texas 1969 (circa) 35pp. Clean in card covers. CAMPBELL J. 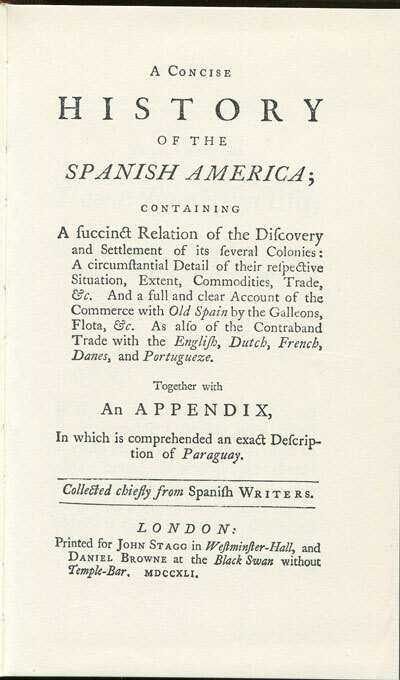 A concise history of Spanish America. Dawsons of Pall Mall, London 1972 viii + 330pp. Facsimile reprint of 1741 first edition, very fine in brown cloth. Much on Spanish treasure fleets.